Most commonly fans observe that they have never seen a band with five distinct lead vocalists. But it wasn’t long ago that many members of The Rad Trads hadn’t sung a note. As dedicated instrumentalists they moved to New York City from Portland, Chicago, and Maryland to go to conservatory and cut their teeth with the best musicians in the city. When they met in Greenwich Village it was their love of a good party, not the confines of a practice room that connected them—naturally the party would soon move from the dorm room to the stage. With each show the music grew, the repertoire evolved, and each member decided it was their time to step up to the microphone and sing. Soon they developed a sound that was uniquely their own: a driving horn section, five lead vocalists, and an infectious punk rock energy that quickly made them one of the city’s most buzzed about live acts. Their newest release, On Tap explodes into completely new territory. Walls of horns and psychedelic guitars meld with lush acoustic arrangements laying an intricate foundation for songs that are funny, challenging, and well-crafted. The album’s lead single, “Good Luck Unto Ya” is a soaring anthem of the bittersweet, exploring the pain and relief of cutting ties with a toxic person. Drummer John Fatum sings “Hallelujah, good luck unto ya, no need to shake my hand, no need to cry.” The emotional catharsis of the text is mirrored in the production of the song with a wall of sound of over 60 overdubbed tracks. 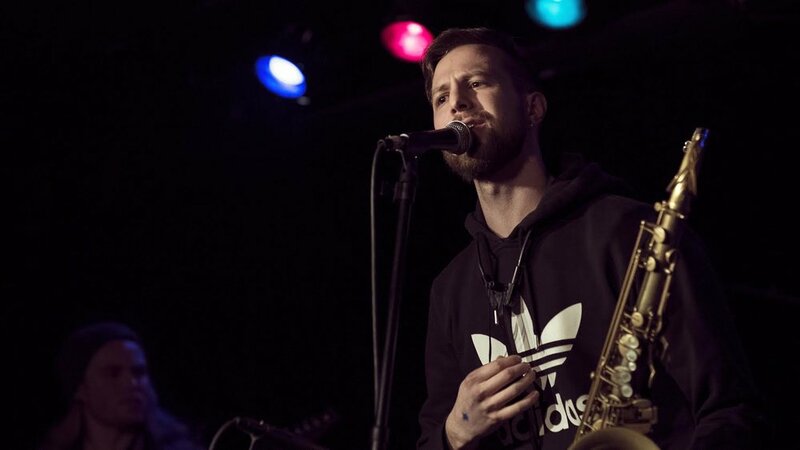 Nelson Devereaux is a saxophonist and multi-instrumentalist who has toured and performed with bands such as Bon Iver, Har Mar Superstar, This is the Kit, Whitney, Mild High Club, Marijuana Deathsquads and Fanny Hill. The "Style Band" takes Nelson's songwriting to the next level with full band arrangements of songs found on his solo records that he has been releasing since 2015. Members include: Miguel Hurtado, Jake Baldwin, Cole Pulice, Joe Strachan, Ethan Elseth, Mike Sodnik, Jenna Rades, Ted Olsen, Andres Crovetti, Greg Byers, and his brother Max Devereaux.